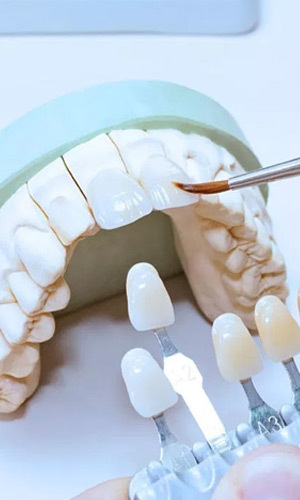 The branch of dentistry that deals with the replacement of missing teeth and related mouth or jaw structures by bridges, dentures, or other artificial devices. It pertains to the restoration and maintenance of oral function, comfort, appearance, and health of the patient by the replacement of missing teeth and contiguous tissues with artificial substitutes. Prosthodontics has three main branches: removable prosthodontics, fixed prosthodontics, and maxillofacial prosthetics. The department specializes in dental crowns, dental implants, fixed bridges and removable dentures.